Here's where to watch every episode of Providence season 1. Mouseover or tap an episode to see where to stream it. Click or tap the play icon to stream it on the best available service. Pilot Jan 8, 1999 Dr. Sidney Hansen returns home to Rhode Island From Los Angeles after tragedy strikes. Home Again Jan 15, 1999 Sydney helps a woman with a bad home life; Joanie names her baby. Kyle reenters Syd's Life. All Good Dogs Go to Heaven Jan 22, 1999 A dying dog triggers Jim's greif; Syd races to save a teen whoose diagnosis is grave; Joanie gets into a lather after meeting Syd's Soap- Star patient. 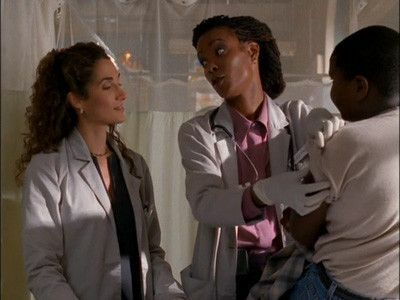 Sisters Jan 29, 1999 Syd helps Joanie's friend whose health is as bad as her reputation: Jim and Robbie bust a sick chimp out of the zoo. Runaway Sydney Feb 5, 1999 Trouble at home & at the clinic causes Syd to pack her bags to return to LA; Jim faces a clingy client. Tying the Not Feb 12, 1999 Syd's thrilled when Joanie announces that she's marrying Richie, but Lynda plants doubts in Syd's mind weather or not the pair really love each other. If Memory Serves Feb 19, 1999 Syd's momeries confirm her fears about Jim's mystery lady; Robbie jumps through the hoops for a new lady. Blind Faith Feb 26, 1999 Syd's hospital job is jeopardized by a surly surgeon-and a blind date who gets struck by lighting; a seeing-eye dog (voice of Jay Leno) opens up to a flu-ridden Jim. Taste of Providence Mar 12, 1999 Syd helps a stripper leave the business, drawing fire from Dr. Marcus and the dancer's angry lover; Joanie makes a splash at a cooking contest; Robbie gets involved with a bookie. You Bet Your Life Mar 19, 1999 Syd is staggered by the indecent proposal of an eccentric, elderly but lustful millionaire who offers her cash-starved medical clinic a fortune if she'll spend 48 hours traveling with him; a debt-ridden Robbie gets in deeper when he urges his injured girlfriend not to play in a key college basketball game while he secretly bets against her team; Joanie begins cooking school and falls for a mysterious fellow student who admires her ""aphrodisiacal"" clam chowder; Jim hires a klutzy veterinary assistant at the clinic. Pig in Providence Apr 2, 1999 Syd gamely tries to help a young stripper who wants to leave her profession and have her bustline reduced to alleviate a dangerous back problem - but her abusive biker boyfriend may have other ideas. Elsewhere, Sydney's chilly relationship with a desirable chief surgeon begins to thaw quickly; Robbie's lucky dalliance with horse racing encourages him to roll the dice one too many times; and Joanie searches for the missing ingredient that could make her clam chowder a winner in the 'Taste of Providence' cooking contest. Saint Syd Apr 9, 1999 No good deed goes unpunished. Against her better judgment, Syd can't resist reaching out to help a wayward teenager, but her efforts only complicate the manipulative young woman's relationship with her new foster parents - especially when she suddenly disappears; Joanie is agog when a major food distributor wants to buy her secret chowder if she will leave her family and move to Japan to provide quality control; and resourceful Robbie borrows more trouble when he secretly volunteers one of his dad's prized poodle patients for a day-long, lucrative TV commercial shoot that backfires. Family Tree Apr 23, 1999 A wary Syd tries to do the right thing when she takes in Lilly , a troublesome teenager who is returned by her latest foster parents, but in no time, the lodger's carelessness places the entire Hansen household in jeopardy. Joanie's hopes soar when she learns that her handsome business partner has broken up with his girlfriend, but their main concern however, is finding a restaurant that will let them showcase her special chowder for food distributors. Robbie comes to the rescue and risks his job when he volunteers his place of employment while the owner is away. In addition, Sydney encounters a likable elderly patient (guest star Maxine Stuart) with hidden health problems, and Jim wants to help a bedraggled stray dog give birth to her pups. Good Fellows Apr 30, 1999 14 A busy Syd helps an injured high school runner (guest star Brian Poth) who is driven to win at any price by his stern coach/father even as she is romanced by the handsome son of a courtly mob boss (guest star John Capodice) whose beloved pug is treated in her dad's veterinary clinic. Elsewhere, Joanie's culinary reputation takes a hit when her vaunted meatloaf is spurned by humans but makes for a tail-wagging dogfood among the canine set. 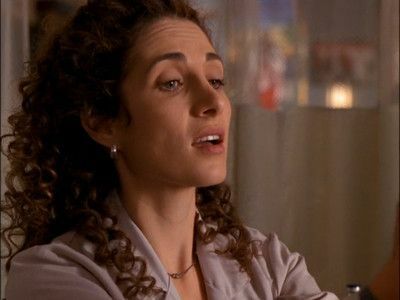 Two to Tango May 7, 1999 Syd firmly tries to fend off the romantic advances of a handsome businessman (guest star David Lee Smith) whose family is linked to the Mob, and lavish gifts begin to wear her down while at the clinic. She diagnoses a sickly landscaper (guest star Tim Ransom) who she suspects is being poisoned by pesticides. Elsewhere among the Hansen clan: Joanie -- on the eve of her new shop opening -- becomes concerned when boyfriend/business partner shows little interest in her infant daughter; Jim indulges himself when he commits to helping Lilly rig up a Rube Goldberg contraption as part of a school project; and Robbie begins to appreciate the hidden allure of Jim's clumsy veterinary assistant in a whole new way. Guys and Dolls May 14, 1999 Syd and her father clash over her relationship with Paul when it's revealed that the District Attorney's office has begun a criminal investigation into Paul's alleged mob ties. Meanwhile, Robbie talks Joanie into filming her own cable TV commercial to promote the Barkery, and Syd tries to treat a teenage boy whose symptoms don't match his blood tests. 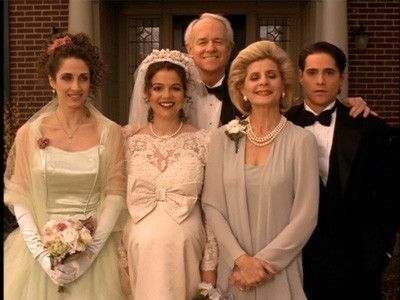 Heaven Can Wait May 21, 1999 The series closes its first season with an emotional episode revolving around troubled teen Lilly. With Syd and the Hansens, Lilly has found a sense of security. Syd is thrilled when Kyle returns to Providence for a quick visit, but later becomes concerned when he also seeks her medical advice. Meanwhile, Jim is stunned when his assistant, Heather, quits her job, and enlists Robbie's help to convince her to stay. Joanie has a difficult time finding someone suitable to help her out at the Barkery. And, a family celebration turns tragic when a friend from Lilly's past arrives in Providence.